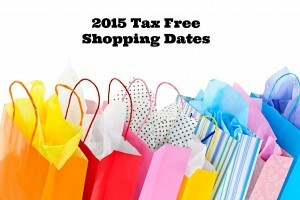 It’s time for back to school shopping, and many states are offering tax free shopping dates! I’ve included a breakdown of the dates by state below! The best part is that YES, if it’s a tax free shopping day in your state, the tax free status will apply if you shop online, too! Awesome, right?? Thanks to Surviving a Teacher’s Salary for helping us put this list together! I can’t believe that the Back to School sales are already in full force! Here are the top deals for 7/12- 7/18. 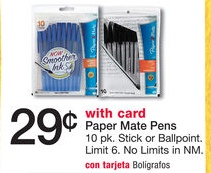 The Walgreens Back to School Deals are always a favorite for me! This week they’ve got even MORE awesome deals! If the ad specifies that a coupon is needed, you can add it to your card and then you don’t have to remember to scan it at the store! It will come out automatically at check-out! 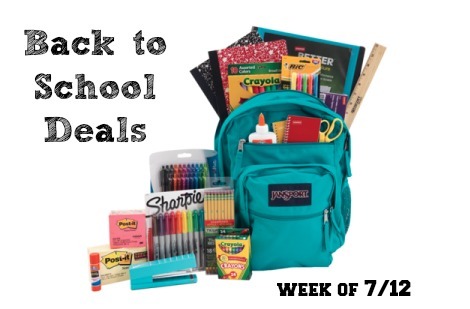 Target FREEBIES and School Supply Deals! Target has LOTS of good deals this week including some FREEBIES! 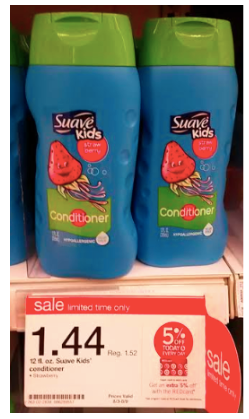 You can get 2 COMPLETELY FREE bottles of Suave Kids Conditioner using coupons! You can also score FREE school supplies this week! Don’t forget to text SCHOOL to 827438! You’ll get a $5 Target gift card when you spend $25+ on school supplies. Final Price = 2 FREE after coupons (or mix & match with other Up & Up items! Final Price = $.02 each after coupon! Final Price = 3 for $.17 after coupon! NOTE: These prices are based on pricing at my local store and may vary by location. 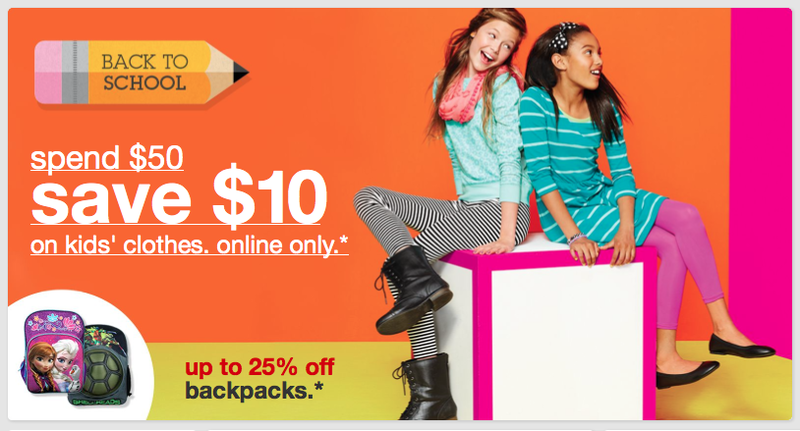 When you shop for kids clothing online and Spend $50, you’ll save $10 instantly! 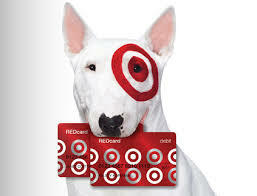 Plus, if you have a Target Red Card, you’ll get free shipping and save an additional 5%! Buy four Up & Up Plastic Forks or Spoons (40ct) – $1.49 – Buy 3, Get 1 FREE Sale! Final Price = $.32 each when you buy 3 after stacked coupons!! 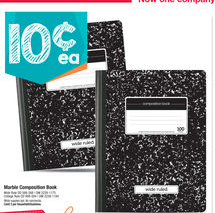 Office Depot and Office Max have more back to school deals on school supplies this week! Prices start at $.10! PLUS, many states have tax free shopping days ending today or starting on Friday, so you can save even more! Here are the deals you can score: please note that they do vary by region! Check your ad to see which deals apply in your area! Thanks to Passion for Savings for the heads up on some of these deals!